A crazy time ahead for The Bjorn Identity Abba Tribute. Confirming their 5th outdoor event to be held across North and North West of Ireland over the next coming months. Speaking on behalf of all the members of Irelands top Abba tribute band based in Belfast, Northern Ireland we were delighted to be asked to return to perform as the headline act at Summer Sound Parkfest – hosted by Lurgan Rugby and Cricket Club in Pollock Park this time as the headline act. This is a yearly event which helps raise funds for the club and supported charities is suitable for all the family. Last year saw us supporting tribute stalwarts Flash Harry as Queenwho ended the night in ultimate rock fashion. Also performing at this fantastic Lurgan event, was Ultimate Eagles Tribute – The Illegals featuring Niamh Kavaghnagh and U2 Elevation. Who were all a pleasure to share the stage with. The 11th July we entertained the crowds at Bowtown Childrens funday in Newtownards. The kiddies just love copying all our routines. look out for more fantastic event to be organised by the local community next year. The 2nd August will see us return to open the super ‘BELFAST PRIDE FESTIVAL’ after blowing away 6,000 stong crowd last year. TAKING TO THE STAGE AT 2PM. Later that evening the band will be heading up to Donegal where they are honoured to be asked to perform at Ireland most prestigious festival ‘The 47th Mary from Dungloe International Festival’ Ireland finest Abba Tribute band will headline for one night only supported by the fantastic Cheesey B’s 80’s tribute band onstage at 8pm. This is a free event. As The Bjorn Identity Abba Tribute Act NI, we are the most exciting and authentic Abba band that has been experienced yet on this side of Sweden and the only locally based band touring theatres. Resulting in being on the “must have” band list for some of the biggest annual outdoor events in Ireland. In August 2013 saw us headline an outstanding gig at the Shoreline Festival, Newtownabbey. This August Antrim council have come on board bringing the best of Northern Ireland’s Abba tribute entertainment to their residents. 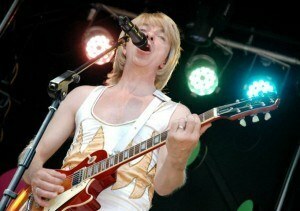 NEWS— For our 5th OUTDOOR EVENT this summer The Bjorn Identity Abba Tribute UK will perform at Antrim Castle Gardens – ‘Party in the Park’ on 23rd August 2014. This is a Family event and bring a picnic!! PreviousGuests of BBC Radio Ulster	NextDOUBLE FESTIVALS DAY FOR IRELAND’S FAVOURITE ABBA SHOW! !